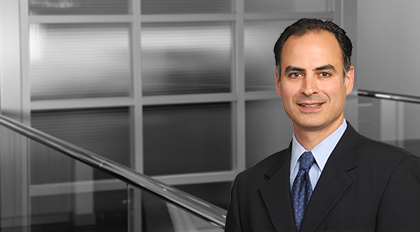 John Zaloom brings substantial experience to his employment and litigation clients. Primarily focused on employment law, Zaloom advises clients on matters such as restrictive covenants, trade secrets issues, discrimination claims, Fair Labor Standards Act violations, and wage and hour matters. He also assists clients with day-to-day employment issues, including employment contracts, employee policies and handbooks, Family and Medical Leave Act, accommodating disabilities, and termination and severance. In addition to employment and general business litigation, Zaloom has assisted clients in disputes involving intellectual property. He has also assisted health care industry clients with employment issues and as well as credentialing and business-related disputes. In addition to his employment practice, Zaloom is a commercial litigator. Admitted to practice in North Carolina, New York, and numerous federal courts, Zaloom has handled a variety of disputes, including general business and contract disputes, intellectual property matters, and First Amendment issues. Zaloom prides himself on being the kind of attorney who clients feel comfortable putting on speed dial, trusting him to always put their needs first. Zaloom doesn’t simply advise on what the law says—instead he develops legal solutions aimed at helping clients meet their practical business objectives. Prior to joining Moore & Van Allen, Zaloom worked at two large firms in New York City, working on several high-profile international cases. He also studied international business law at the University of London, graduating with merit. In re Austrian and German Holocaust Litigation, 250 F.3d 156 (2nd Cir. 2001). Part of team that obtained mandamus requiring District Court Judge to allow agreed dismissal without conditions. Woolford v. Frontier Spinning Mills, Inc., 04-CVS-4030 (Forsyth County 2004). Obtained a dismissal of a claim under the Retaliatory Employment Discrimination Act by a former employee of a client in the textile industry. Estate Of Shelia Williams-Moore v. Duke University Health System, Inc., et al., 335 F.Supp.2d 636 (MDNC 2004). Obtained summary judgment on a claim of race discrimination by a patient. Dula v. Gold Peak Industries Ltd., (EDNC 2004). Obtained dismissal of a claim against a Hong Kong client on personal jurisdiction grounds. The motion required proving that the client was not a joint employer of the plaintiff. Pattridge v.Parata Systems, LLC, (MD Fla. 2008). Successfully resolved FLSA collective action against client-employer. MJM Investigations v. Brian Sjostedt, 2010 WL 2814531 (N.C. App. 2010). Won appeal at the North Carolina Court of Appeals invalidating an overbroad non-compete clause that a company asserted in an attempt to restrain its former employee from working in a competitive field. EEOC v. PBM Graphics, Inc., 877 F. Supp. 2d 334 (MDNC 2012). Obtained partial dismissal of EEOC “pattern and practice” class action discrimination claims. Wedderburn Corporation v. Jetcraft Corporation, et al., 2015 NCBC 101; 2015 NCBC LEXIS 105 (N.C. Bus. Court 2015). Obtained dismissal of nearly all claims regarding plaintiff’s allegations of breach of contract in client’s sale of $16 million aircraft to plaintiff. Margaret Lynch v. Private Diagnostic Clinic, PLLC, et al., No. 1:16-cv-526 (MDNC December 20, 2016). Obtained dismissal of employment discrimination claims against client based on lack of subject matter jurisdiction.